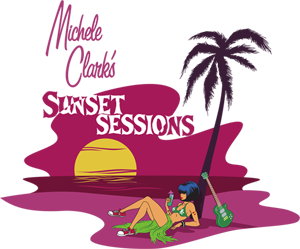 For 16 years, Michele Clark has been hosting Sunset Sessions. The idea was simple- bring new music and sounds to people who can do something with them...radio program directors, film supervisors, advertising agencies and more all have incredible power to break new music. These industry professionals are flown in to attend daytime panels, listening parties, mixers and keynote speakers, and by night are required to attend music showcases. They actually call roll to make sure that the people who have been brought to hear music are actually present to hear it. Originally, Sunset Sessions targeted the "Triple A" format (radio speak for Adult Album Alternative). A bit of a vague category that countered the easy listening and yacht rock music of the 80's, not quite hard enough to be rock, but not quite fitting into labels like "alt-rock". Often, AAA bands gain a wider audience in Top 40 or Alternative Rock, but sometimes years after they've been nurtured on the AAA format. A few years ago, Sunset Sessions expanded to two events, the new one to focus on the demands of TV and film who wanted a little more edge without having to filter the vast interwebs to find the next big thing, and thus Sunset Session Rock was born. After hosting the event in Palm Springs last year (and moving the 2013 AAA Sessions to San Francisco), the event is back in San Diego and for the first time ever, the music showcases will be held at the Belly Up with some tickets available to the public. After the industry professionals spend their days at panels, they'll be shuttled to three nights of showcases, two of them hosted by 91X and one hosted by FM 94/9. I've been fortunate to attend several Sunset Sessions over the years, long before I started a music blog, and every year I've attended I've discovered great new music, met incredibly inspiring professionals and have learned so much about how the wheels of the industry really work. This year's Sunset Sessions is taking place at The Hilton Carlsbad Oceanfront Resort & Spa. And while that portion is still open only to select invited industry professionals, it would behoove you to check out some or all of the showcases at the Belly Up. Here's me talking it up on KPBS (which will air on Friday during the 6:30 broadcast.